The EDP computer crash cart provides a mobile computing platform that can be used in a host of locations from data centres, computer rooms and offices to factories, hospitals and stores. 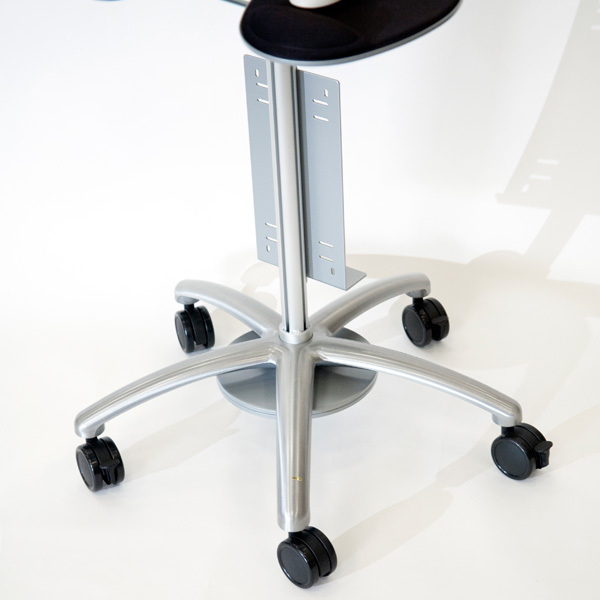 The flexible design of the EDP computer crash cart accommodates seated or standing computer operators and can be easily wheeled to the required location. The EDP computer crash cart provides a ideal mobile computing solution. The design of the EDP computer crash cart enables it to be used by seated operators or in a standing position. Its multi-wheeled base enables it to be easily, and smoothly moved from location to location whilst providing stable platform from which to work from. 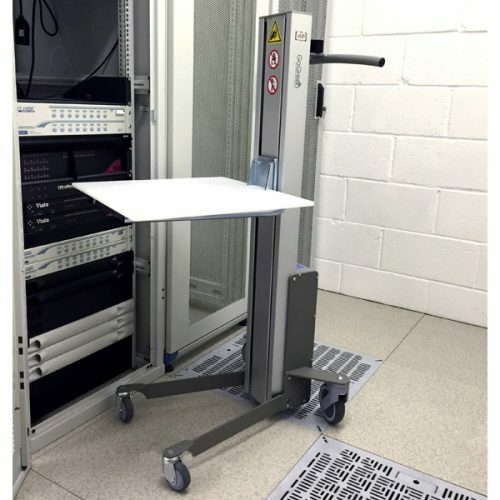 The EDP computer crash cart is ideal for the data centre or IT environment and can be easily maneouvered between aisles of racks. A lightweight mobile computer crash cart that provides mobile computing and can be used almost anywhere. 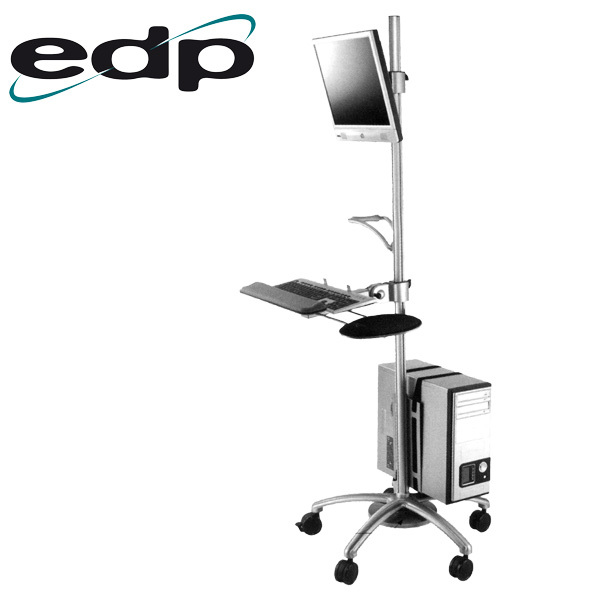 The EDP computer crash cart is height adjustable and can accommodate both seated and standing computer operators. The computer crash cart has a tilting keyboard arm with mouse tray that can be attached to either the left or right hand side. Safety belt can be adjusted allowing different sizes of CPUs to be attached to the computer crash cart. The cart supports computer CPUs up to 20Kg. Made from an aluminium alloy which gives the cart a neat and artistic appearance. 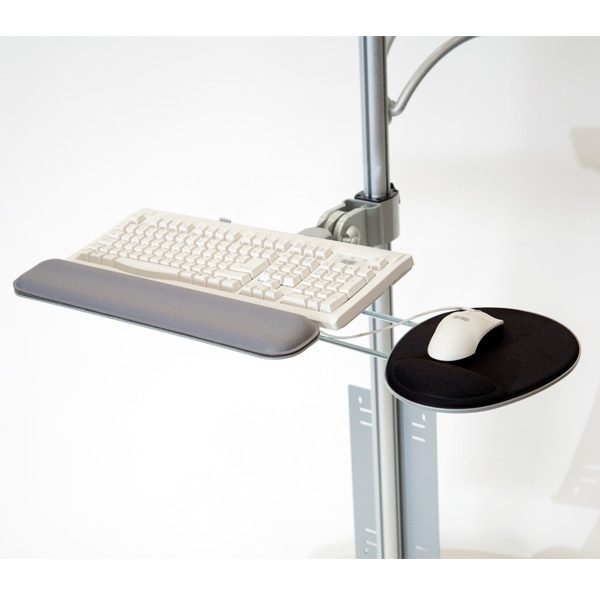 Pivots 10° upwards and 25° downwards allowing monitor to be adjusted for comfortable mobile computing. Five wheels of which three are lockable.